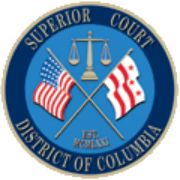 CourtTrax Corporation is pleased to announce that it will soon be expanding its services to include electronic access to District of Columbia (Washington D.C.) Superior Court records. Serving a population of over 680,000 people, the Superior Court of the District of Columbia makes publicly available Civil, Criminal, and Probate case records. Family, Mental Health, and Domestic case records are deemed inherently confidential by the court, and are unavailable electronically. Manual retrieval of Domestic and Family cases is restricted to the involved parties in such cases. Once implemented, CourtTrax will provide access to all data available from the court. And as with all other CourtTrax services, previously retrieved case detail reports are archived in a CourtTrax user’s account, eliminating the risk of additional charges should previously viewed information need to be reviewed in the future. The expansion of CourtTrax services for the D.C. Superior Court will be available starting September 15th, 2017.